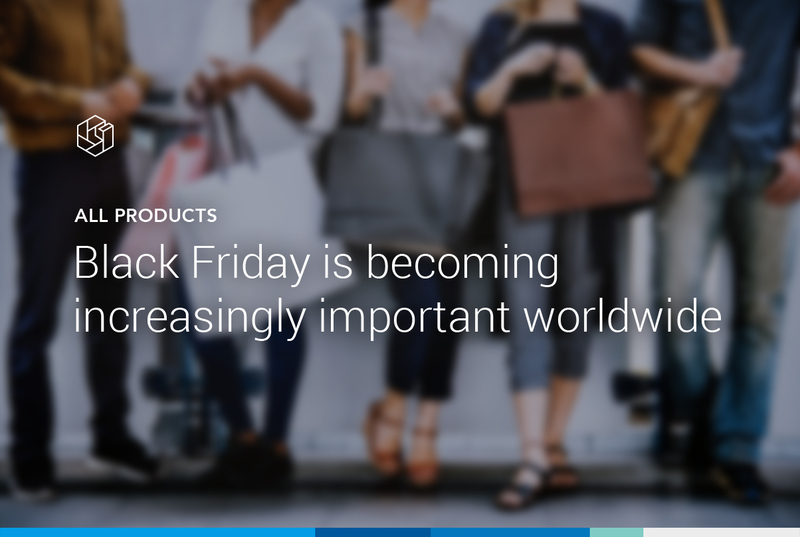 Black Friday is growing in importance around the world. In the Netherlands alone, interest in the retail holiday grew 2,000% from 2012-2017. And with over 70% of shoppers in the U.S., U.K., Germany, and Canada aware of Black Friday and planning to take part, retailers are under pressure to slash their prices to stay competitive, both online and offline. But with thousands of products and hundreds of competitors, how can retailers know what the best discount is for each product? Better yet, how can they stay competitive on Black Friday itself when prices shift throughout the day? If you’re asking these questions, you’re not alone. Black Friday is stressful, but pricing insights and automation might be the solution you’re looking for to help you tackle the day with confidence. Curious to know more? Here are four ways Omnia’s products can help you get the most out of Black Friday. 1. Focus Black Friday on strategy, not chasing prices. On Black Friday itself, many retailers waste time manually tracking and altering their prices. Many on your team will devote their entire day to following the market, including manually comparing prices for multiple products several times. Automating the process with a pricing insights software cuts the work in half. Instead of asking your team to crawl the internet looking for prices, the software delivers an up-to-date report of your competition’s prices multiple times throughout the day. Your team then just needs to update the prices according your your strategy. Automation can even take this process a step further with dynamic pricing, which can automatically adjust the prices for you based on predetermined business rules. Your team just needs to monitor the changes — not enter them manually. 2. Analyze historical data to build a pricing strategy. For most retailers, a backlog of pricing data is not necessary for much of the year. But this information is useful for establishing a pricing strategy around the holidays, and especially for Black Friday. Historical pricing insights allow you to monitor products over the months leading up to Black Friday. This data reveals an abundance of information about the product market, such as the price ranges offered by yourself and your competition and the lowest price over the last few months. Your pricing team can then use this data to determine the best promotional price for key products. Instead of arbitrarily discounting every product by 20% just to give a discount, your pricing team can determine which products your company has an advantage over and what they should price in relation to the competition. This way you offer the best price on the market for a consumer on Black Friday, not the same price another retailer charges on any other day. This practice not only reduces the risk of a competitor undercutting you on important products on Black Friday; it also helps maximize your profits and margins overall. 3. Track and optimize online marketing. Retail automation doesn’t have to stop at prices. Instead, you can use pricing data to make informed online marketing campaigns. Notably you can use pricing data ensure your online advertising budget isn‘t wasted on out-priced items. By combining competitor pricing insights with your own internal product information (such as purchasing price), your marketing team knows which products are competitive and in-stock, and can ensure that they advertise competitively as well. This connection between pricing and marketing is important, because one small miscommunication between the two channels — especially on a high-profile day like Black Friday or Cyber Monday — can lead to a product appearing significantly overpriced compared to the competition. This can dramatically affect the price perception of your company, though it can be used strategically to sway public opinion. Additionally, automation can help your team track keywords in the weeks leading up to Black Friday itself. This then gives your organization a better understanding of where to advertise online and how you should allocate your resources. In other words? Automation helps your team focus on marketing the products that will have the biggest advantage for your business. Ultimately, one of the most significant benefits of retail automation software is that it reduces the overall manual labor for your team, both on Black Friday itself and in the weeks leading up to the event. By taking over much of the “grunt work", automation gives your team more freedom to create high-impact Black Friday promotions. Automation tools like the ones offered by Omnia help your teams make faster, smarter pricing decisions. Black Friday is no exception to this; in reality, on this day of the year, these tools can give your team superpowers. Interested in testing out retail automation this Black Friday? Don’t wait. Get in touch today to set up a demo of Pricewatch and see for yourself how pricing insights help you get the most out of the day. Click below to learn more.